The 17th November is national take a hike day, to help encourage people to go outside, explore nature and get some exercise. To celebrate, we thought we’d list the top 10 places to hike in the world – to give you some inspiration. 1. China – the Great Wall of China is rumoured to be the only manmade object which is visible from space. Over 5,000 miles long, walking at least part of the great wall features on the bucket lists of many travel enthusiasts. 2. France – if you’re looking for somewhere a little closer to home, France is a fantastic places to get out and about. You could head south for some beautiful country side walks, or simply wander around Paris itself. More serious hikers can head to Corsica for diverse landscapes and challenging routes. 3. Hawaii – fancy a more tropical experience? The islands of Hawaii offer some challenging treks, especially around the dramatic coastlines. 4. Nepal – if you’re looking for a challenge, then why not try trekking to the Everest Base Camp? Taking three weeks, this serious walk will take you over 5,000m up the world’s highest mountain – definitely a bucket list item. 5. New Zealand – think back to the landscape shots from Lord of the Rings, and you’ll be ready to get out and explore. 6. Norway – Google the Trolltunga in Norway and most people will have viewed these spectacular images. You will not be disappointed by the views, or the pictures you can take home. 7. Peru – the Inca Trail in Peru draws thousands of tourists every year. To reach the famous Machu Picchu, you must first navigate the winding 20 mile trial, passed snow-capped mountains and breath-taking views. 8. Switzerland – famed for its picturesque scenery, Switzerland is the perfect place to get back to nature. Take a hike around the Fiordland or Mt Aspiring national parks for a walk with a view. 9. The Alps – famed for the breath taking views, the Alps are one of the highest mountain ranges in the world. Many different treks are available, for example the Tour Du Mont Blanc which covers 100 miles through Switzerland, France and Italy. 10. The UK – if you would prefer a staycation, the UK is absolutely teeming with amazing hikes and trails just waiting to be explored. Scotland and Wales especially offer dramatic scenery and variations of challenging and easy treks. 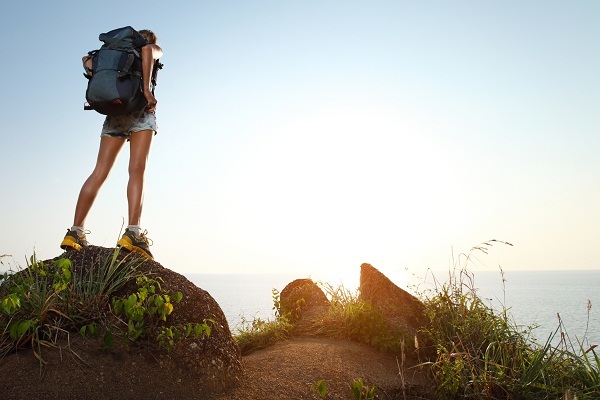 If you’re planning a hiking trip, just remember to invest in quality travel insurance which covers your chosen activity and your equipment. Visit Holidaysafe.co.uk for more information on sports travel insurance.